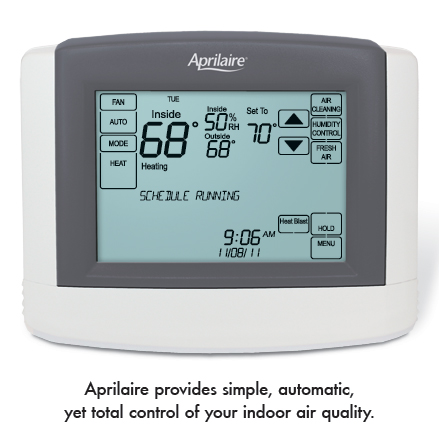 Total comfort and control are just a touch away with the Aprilaire Model 8620 touchscreen thermostat. Along with precision temperature accuracy and effortless programmability, the 8620 gives you options for controlling the remaining aspects of indoor air quality�humidity, fresh air and air purity. All that, and it's simple to use!